Gulmay offers the widest range of standard x-ray generators available, from 35kV to 500Kv and from 300W to 7.5kW in both unipolar and bipolar configurations. In addition to our standard product range we offer a substantial edge over competitors because of our ability to produce customised and cost-effective solutions to match our customers’ specific requirements. Rugged generator design coupled with leading tube integration software ensures optimum generator and x-ray tube performance. A robust, reliable high voltage tank design incorporating an oil filled high voltage system provides greater thermal dissipation than resin filled designs, increasing reliability and ensuring both a 100% duty cycle and full field serviceability. 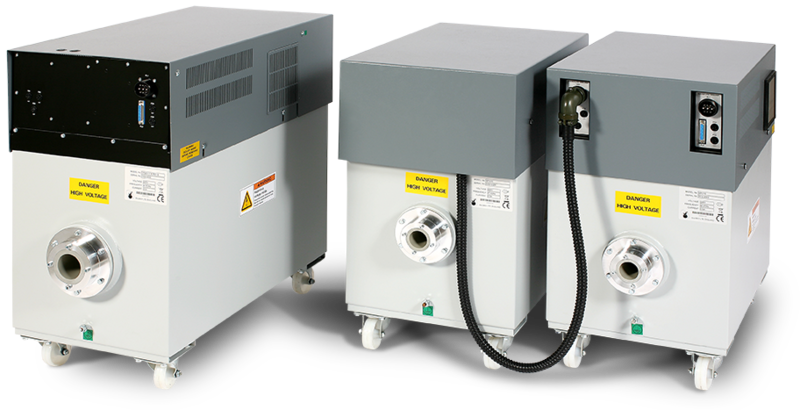 The FC series of x-ray high-voltage generators is available in either standard 640W or a high-power 1000W option. Both the standard and high-power options are available in a wide range of output voltage configurations including a bipolar 320 KV version. 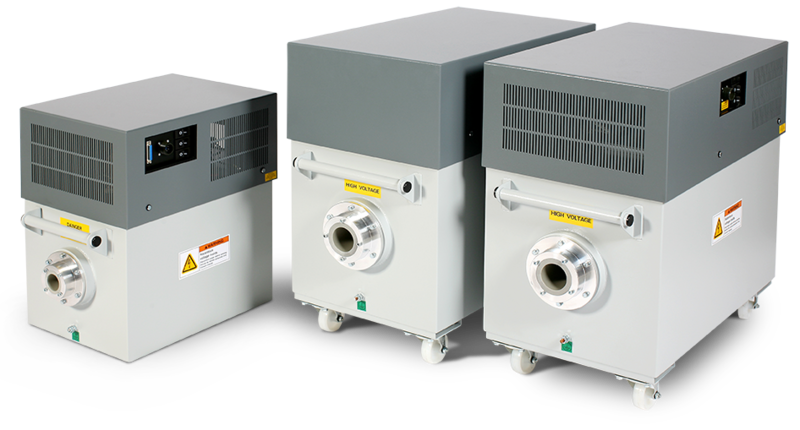 The Gulmay CF series of high-voltage x-ray generators is designed to partner the 1800W range of high-power, small focal spot x-ray tubes. The CF series is available in a wide range of output voltage configurations from 50KV to 450KV. The Gulmay CP Series combines high power with unparalleled reliability through a broad x-ray power and energy spectrum. The CP series operates up to 4500W and is available in a wide range of output voltage configurations from 65KV to 450KV. 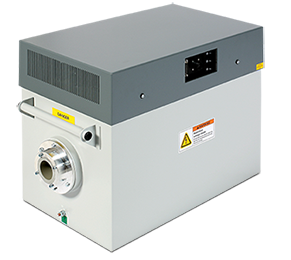 The Gulmay GX Series is a high-specification range of x-ray high-voltage generators ranging in output power from 3025W to 4500W. Designed for a wide range of applications, GX generators are available in output voltage configurations from 50KV up to 450KV. Gulmay has earned a unique place in the development of the microfocus inspection technique. In 1982, Gulmay became the world’s first generator manufacturer to provide a dedicated power supply solution to meet the unique requirements posed by demountable x-ray tubes. As the industry leader in the design and production of tailored solutions Gulmay has developed many bespoke products to meet our customers individual requirements.